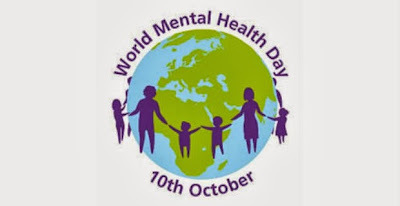 Last week, on the 10th October, it was World Mental Health day. This day was put in place to help raise awareness of Mental Health issues. Each year MentalHealth.org.uk focuses on a different aspect of mental health: this year was Mental Health and Older Adults.There is a lot of support out there for raising awareness of Mental Health, last week artist Toby Allen tried to put an image to 8 mental illnesses: "The artwork is not at all intended to make light of these conditions but instead is intended to give these intangible mental illnesses some substance and make them appear more beatable as physical entities" Source Daily Mail. The stats were shocking. I think now people have heard them so much they are starting to be less so. However, people may be aware of the statistics but they are not aware of the signs, whether that means the signs in themselves or signs in others. 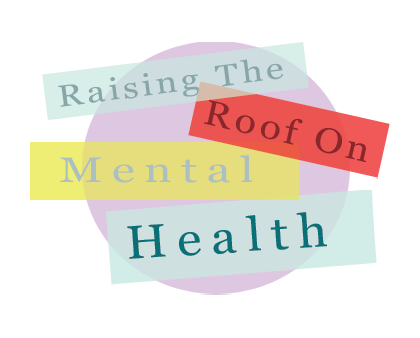 There is still a lot of the stigma surrounding Mental Health that still needs to be shaken off. The Time To Change Campaign has done a lot in bringing it all into the forefront and helping to break down that stigma. They have a counter on their website showing how many people have made a pledge to end the stigma (you can join here.) It’s currently on 46026. The current population of the UK is 63.23 million.It's not a great percentage. Having been around mental health issues through my life, both through people I know and places I have worked, I can say that sometimes it can be very scary. The first time you witness behaviour brought on through mental health issues it does rock you to your core. And that’s ok. There is no reason you shouldn’t be taken aback if somebody is acting in a way you’ve ever seen before. What isn’t ok is to run away from it, treat them differently or judge the person based on it. I have been in the position where I have witnessed attempted suicide, Schizophrenic outbursts, severe OCD and everything in between. It’s bloody terrifying. An odd mix of a desperate need to help and a horrible feeling of hopelessness just tears through you. But what you need to think about is that is how it feels for you, imagine what it feels like for them. The inner conflict that they would be battling through is immensely crushing. If you can’t handle watching somebody who is so out of control of themselves imagine what it feels like to them. It’s like being a passenger of a car heading full speed for the edge of a cliff. There’s nothing you can do but ride it out and pray you survive. It is definitely not contagious. You can’t catch a mental illness. Just because you can’t see it doesn’t mean it isn’t there. I will agree that mental health isn’t something that you can fully understand unless you’ve witnessed or experienced it first-hand. But it doesn’t mean that you can’t try to understand it. Don’t be that guy. If you know, or think, somebody is suffering with a mental illness take them for a coffee. Sit and chat, not necessarily about their suffering, anything will do. Ask them how they are. Tell them that you’re there if they need someone. Even if they don’t act on it they will be grateful you asked, you may even make them feel a little better. Mental health can destroy lives if it goes untreated. If you are suffering with a mental illness, or think you are, please don’t suffer alone. Use these helplines, tell a friend, just don’t make yourself go through it alone.